The mark of distinction that lasts a lifetime. Every client at HST can expect to receive quality tattooing at the highest standards of safety and sterilization, and one-of-a-kind personal service. Every artist at HST is hand selected by Joey and has undergone an extensive educational process, ensuring your tattoo quality. All artists on staff have been internationally recognized for their artistic achievement, and have appeared in numerous tattoo publications. The studio itself is a relaxed, clean environment, with each artist’s individual style showcased within their work space. Client satisfaction is paramount at HST, and we look forward to creating a lifetime memory that you can take pride in. Our dedication to our goals and clients has made HST a destination for the discerning collector, and we look forward to the opportunity to bring your vision to life. Walk-ins accepted daily! All deposits are non-refundable. 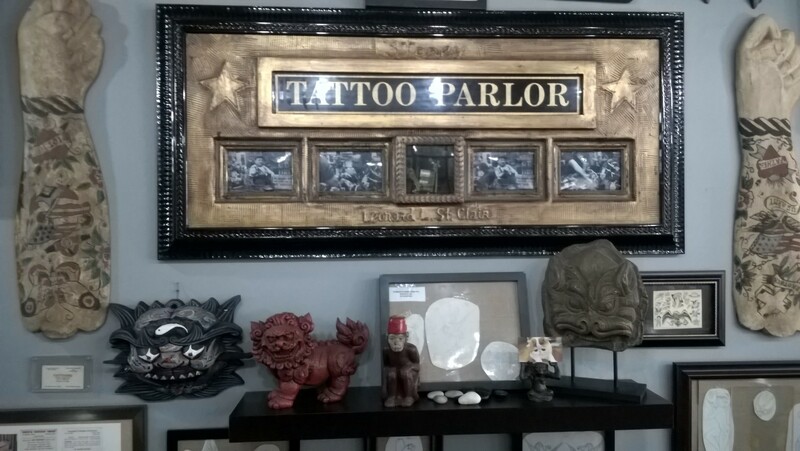 To make an appointment at High Street Tattoo, we require a $50.00 to $100 cash or credit card deposit. You must provide at least 24 hours notice of cancellation. Deposits are deducted from the High Street Tattoo day rate at the end of the appointment. For any tattoo that requires more than one session, the initial deposit will be held until the completion of the final appointment.